Would you like to create an album that can be filtered with category tags? Using the Tags and Album Addons, you can create albums that show galleries based on selected gallery categories. This guide will show you how to create your own filterable album. Ultimate, Agency or Pro Envira license. You can read how to upgrade to one of these licenses here. To begin, you’ll need to activate the Envira Albums Addon and the Envira Tags Addon. Now it’s time to add the categories to your galleries. You can do this by either selecting the categories or create new ones. 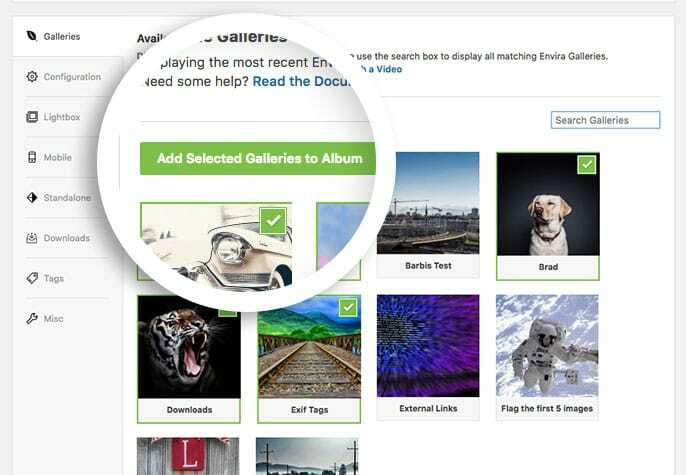 It’s time to create a new album so that you can add your galleries. 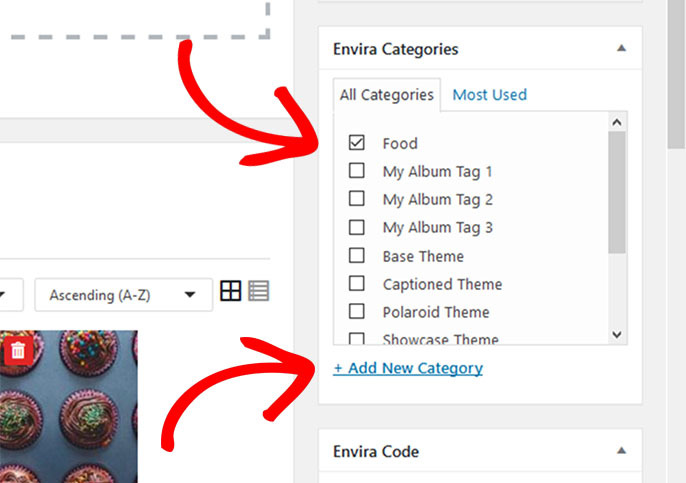 If you need any help creating a new album, please review our tutorial on creating Envira albums here. Select the galleries you want to add to your album and then click on the Add Selected Galleries to Album button. Finally, we need to enable the tags on the album. 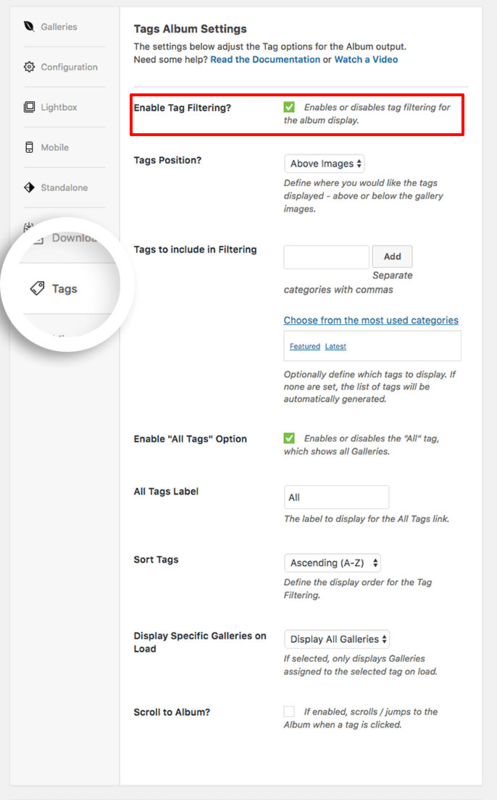 Navigate to the Tags tab and check the Enable Tag Filtering? to enable tags for the album. Click the Update or Publish button to save and publish your album. Add your album to a post or page, then view to see tag filtering in action! Congratulations! You’ve successfully created a filterable album. If you’d like to learn more about creating filterable galleries, check out the Tags Addon.